There was a time, maybe about three years ago where I was going through what was not far from an ‘existential crisis,’ my ‘existential crisis phase’ was perhaps more accurately, ‘a moral dilemma’ but it felt like total crap and I think it deserves that description. The inner conflict I experienced spurned, like most things, from the desire to be happy. Fulfilment eluded me for some time, I knew my problem was based on the fact I didn’t have much money and my psychological need to buy new clothes. As a young woman, this just seems like a part of who I am, however, I was also on the road to discover who exactly that was too, which is where we establish a dilemma. My entire wardrobe is comprised of second-hand clothes I had initially found in op shops. In my opinion they helped define me, it had become my past-time and wearing unique clothes became a form of self-expression. 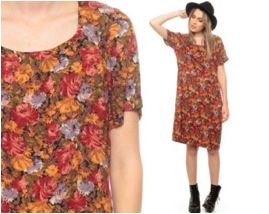 Suddenly, (it really was sudden) the recycled clothes I spent my days hunting for, were regurgitated into to the mass-market; ersatz counter-culture materialised in un-ethically produced, cheaply made nana 90s dresses for $100 in General Pants. As my world crumbled into the cookie-cutter look I so wanted to avoid (ii), a fog cleared before my eyes and I grew in disgust by the modern world. It’s celebrity wannabes, it’s un-ironic use of internet slang, it’s sweatshop made in China imitation jersey, it’s iPhone battery issues, it’s horrible 3D movies, it’s inclusion of a large metallic zipper on the back of everything! Don’t even get me started on music. (i) This culture, apparently of my generation, was sufficiently upsetting enough to cause me to reject my love of clothes, as it had been trampled into the earth by hoards of people that had once called you ‘weird’ or ‘hipster’ (actually worse) and are now most likely teasing their beard for fullness. I spitefully disengaged from consumerism to the extreme that I took to dressing like a dag, because I was ‘more than trendy clothes’. It was a rather dark period. This unleashed a whole other set of issues, where I was faced with the scorn and judgement of others, my own feelings of not wanting to judge others and the societal pressure to conform. Above all, to love clothes means and other fashion lovers would know, that dressing is a thing to look forward to and I was depriving myself of one of life’s little pleasures. Upon realising this, I was eventually able to wear my clothes again, save up and buy some made-to-last new ones and celebrate and relish in, the democratisation of fashion; the idea of ‘style over trends’ (i). This entire sordid experience, I have since discovered, is called the ‘bubble up’ effect and is the inverse of the ‘trickle down’ system in the fashion industry; where inspiration for trends are taken from the lower echelon to develop new designs (ii). Apparently, this is developed on the idea of ‘cultural capital’ where something is seen as ‘cool’, by the nature of a certain sub-culture and transformed into something ‘trendy’ and ‘mainstream.’ It is cyclic, forever changing and is always moving onto the next thing. Which is lucky for me, I guess. Though there is certainly irony in the whole debacle, a fast-fashion trend, based on a sub-culture challenging it’s very fundamentals, is pretty funny. I am an artist and I love fashion. This is a common aspect in the interfusion of the two fields, the inverse, where fashion designers apply fine art principals to their practice, is also where designers begin their engagement with art. 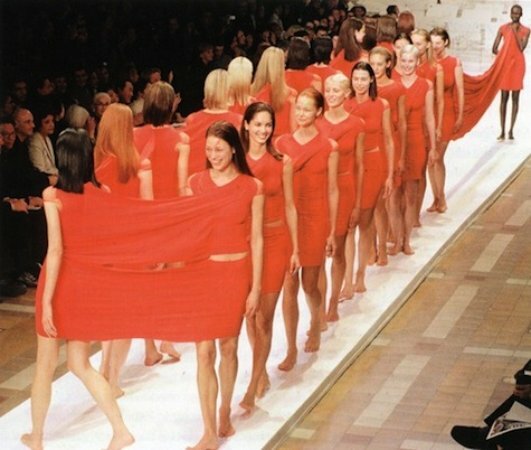 I pursued Issey Miyake as a study of how fashion and art perform as one in the same, since he rejected the label of fashion designer and worked using a fine art sensibility to produce art/clothing that are both conceptual and innovative. I also just l o v e this photo from A-POC (an acronym for A Piece Of Cloth). This concept, is based on a single industrially produced, tubular piece of fabric, that can be cut by the wearer to create a custom outfit, ingeniously negating the need for seams. According to Miyake’s website, where the discourse of his artistry over design is significant, “His process explores the fundamental relationship between the body, the cloth that covers it, and the space and room that is created between these elements…” Issey Miyake’s creative process is set in motion by studying a single thread, from there he creates his material and then the garment. In this sense, the lines are blurred where fashion and art are concerned. Miyake has also been cited in seeing the material value of his medium, cloth, by cutting it as little as possible to preserve it’s integrity. Miyake’s work centre’s on the performance of wearing the garment; the experience of the wearer and the viewer, which has parallels in conceptual art. Furthermore, Miyake’s use of technology, research and environmentally sustainable designs, caters to the modern world and reflects theses issues in society, which is the role of art, as a cultural reflector and benefactor. Now, rather than dying out, the Hipster craze has managed to perpetuate itself throughout the years through the appropriation of other cultures. That’s it. If you stop evolving you fade out, so hipsters don’t stop evolving and they do this by continually using new and recycled imagery that they may or may not have any connections to. This is also one of the reasons why Hipsters refuse to associate themselves with the term ‘Hipster’ and it’s negative connotations. The term ‘poser’ may be thrown in and around. It becomes quite interesting when a Hipster starts going into the fashion business themselves. Howard Blumer’s Trickle Up theory suggests that what becomes popular among the hoi polloi will eventually influence the upperclass minority, it is after all the general masses that designers have to market to (ii); however, it’s not a basic subculture that designers are cool hunting but all imagery and all cultures. They then sell the stolen imagery back to the hipsters that were wearing it originally and make a profit while doing so. 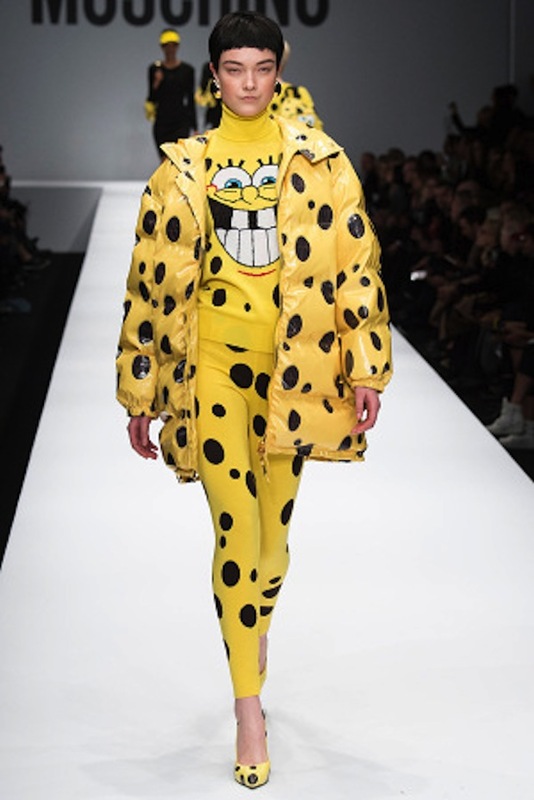 Take designer Jeremy Scott for instance: Moschino’s 2014-15 fall/winter campaign, signed by Jeremy Scott, features Spongebob Squarepants – Nickelodeon’s loveable yellow sea sponge. He’s taken a popular children’s character, added his brand name, put it on the catwalk, and markets it at a higher value and for a wider audience. He’s also done it with Disney’s Mickey Mouse, McDonalds, and Coca Cola. For his Spring/Summer 2013 campaign he took to using such imagery as Native American totem poles, symbolic traditional art that he’s scoped out because it looks nice. With such predecessors as Andy Warhol and Jeff Koons, I can only image the sizeable legal fees doled out. (iii) Polhemus, T 1994, ‘Trickle Up, Bubble Down’, Streetstyle: From Sidewalk to Catwalk, ch. 45, pp. 327-331. Over the years, fashion designers have embraced the mutual inspiration and influence between fashion and cinema. As film is considered to be an extension of photography, it is an extended medium for storytelling. Although, the relationship of film and fashion isn’t anything new, the representation of fashion through video content has expanded through commercials to feature-length films. The role of which fashion plays in a film or production is significant to an extent of how it contributes to building the aesthetic and dressing a character. Fashion Film has been notably recognised to have come into its own genre. Through the visual medium of film, designers have opened up to the idea of collaborating with filmmakers to help further express their creativity, aesthetics, ideas and values. There are no limitations; all that is required is that the clothes are showcased. This allows a creative freedom for the filmmaker to express, play around and create any kind of structure that portrays and reflects the tone and influence of the clothing, whether it follow a narrative, abstract or even experimental structure (i). As it is often that a season collection is created and inspired to embody a kind of character and/or a theme, then there is that opportunity for it to be further imagined, portrayed and visually expressed and communicated in a short film, however, the process may vary. Many fashion photographers and filmmakers have gone behind the camera to create fashion short films; such as Wes Anderson and Roman Coppola for Prada, Lena Dunham for Rachel Antonoff, Spike Jonze for Olympia Le-Tan and countless more. The room for innovation also allows considerations for possible aspects such as music, production and set design, hair and make-up, visual effects and the many departments and creative talents to enhance and contribute to the mood, experience and vision. Often well-known or up-and-coming talents are brought into the project modelling the clothing in the film, in some cases as costume. Through this extension of video content, fashion brands have also come to understand the value of how this medium can, not only share their vision, but also promote the brand and be accessible to larger audiences through the rise of the internet and social networks. It is acknowledged that photographer Nick Knight was one of the first to really recognize the internet’s potential, in 2000 with showstudio.com and how he reinvented the way we perceive fashion images (ii). The idea of potential storytelling, creative expression and vision is exciting, and the possibilities for reinventing fashion images are unpredictable. 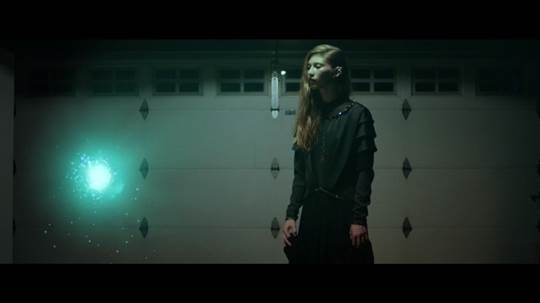 Contemporary fashion house, Rodarte has collaborated with photographer Todd Cole for three short films to date. Their recent 13 minute short film, “This Must Be The Only Fantasy” is an interesting example that has creatively engaged with the means of storytelling and the experience of their pieces. It is an epic fantasy film inspired by Rodarte’s Spring/Summer 2013 collection that brings together magical realism, 1980’s video games and haute couture, and is a visual effects-driven ode to fantasy role-playing games (ii). As the phenomenon of the fashion short film has taken off quite impressively, it’s interesting to see how it will progress from here. In the 1990’s, at a time of the grunge aesthetic of baggy clothes, skate wear and hip hop, there was a “brief magic moment,” as actress Chloe Sevigny puts it, that the pioneering independent fashion line X-Girl had emerged. X-Girl was founded and created by stylist Daisy von Furth and Sonic Youth’s bassist Kim Gordon in 1993, and was born as an off-shoot of a Los Angeles men’s streetwear brand X-Large. X-Girl produced garments that opposed to the general grunge aesthetic, and aimed to appeal to women looking for more stylish yet casual, inexpensive clothes; every piece in the X-Girl line was $60 and under (i). The clothing line was emerging at a time of ‘Girl Power’ and a part of the early ‘90s feminist movement happening at the time. Their clothes were considered right in that moment; timeless and a very smart design, according to one of their pattern makers, Susan Cionciolo. Daisy and Kim often spent times shopping together in that certain era of New York, often scouting for dead-stock and 70’s t-shirts. They were approached by the brother of the X-Large founder, knowing their interest in fashion, and the three, plus artist Adam Silverman, and eventually a team of mutual friends worked on the fashion line together. They took the opportunity to create clothes they’d like to wear and could be available and affordable for women. A community of well-known creative people were involved in X-Girl including filmmakers, Mike Mills, Sofia Coppola and Spike Jonze, Mike D from The Beastie Boys and many more. Chloe Sevigny was chosen to be a model for the fashion line when she was still in high school. She had embodied a sort of ‘street, grunge girl who was androgynous’ which was what they were looking for. Their first show for their first collection was held on a sidewalk in SoHo and was filmed by MTV’s House of Style show. As reflected by Kim, they felt the street was appropriate for the show, which was meant to be playful as they didn’t take themselves seriously as designers (ii). In 1994 X-Girl opened their first store in L.A, and a year later at New York on Lafayette Street, becoming a cool hang-out spot downtown. X-Girl was one of the first streetwear fashion lines to become “big in Japan” and was sold to a Japanese company in 1998, when Kim and Daisy were no longer interested in continuing the line. Even though the original X-Girl line was short-lived, it never completely left; the brand is brought back and is continuing production in Japan, however, with higher price points. Their garments are still owned and remembered by many women today in high regard. The significance of what Daisy and Kim wanted and set out to do has left a lasting effect. Being a highly influential fashion line of that time, X-Girl’s legacy still lives on. Photographed by the famed Annie Leibovitz, for Vogue, the photo series Brief Encounter sees Sean ‘Diddy’ Combs and model Natalia Vodianova act out the age old story of star crossed lovers. Set against a backdrop of steam-trains, the ‘railway rendezvous’ was inspired by the megamogul’s latest album Last Train to Paris (Sullivan, R 2010). While evidently advertising Combs’ new album, the shoot goes beyond publicising Diddy’s latest album drop. Annie Leibovitz is the undisputed queen of fashion photography. Her constructed images are marked by their cinematic nature and Brief Encounter is no exception. The rich colours and depth of tone within the images, as well as the contrast between the clothes and the background, build a sense of dramatic complexity (Kismaric & Respini 2008). The careful composition creates an aura of personal intimacy, while other images that lend themselves to action shots suggest a more detailed narrative to be completed by the viewer. This narrative is established in the first photograph of the sequence. Combs and his entourage over power half the picture frame, while Vodianova draws just as much focus sitting alone. The connection between the two major players is made as one of the men in Diddy’s party gazes in the direction of Vodianova, and so, as the writing in the corner of the image suggests, ‘the romance is set for departure’ (Sullivan, R 2010). The following sequence of photographs, bathed in all the glamour and melodrama attributed to cinematic nature of the photography, encourages the viewer to construct a tale of whirlwind romance and mystic through both written cues and blatant gesturing. Vodianova’s character reaches her pinnacle in the second to last shot looking ‘absolutely like a World War II herione’- a stunning contrast to the hulking metal of the train. In what is to be considered a common technique of fashion photography, the gaze of the characters within the photographs is directed away from the viewer. This disconnectedness allows the viewer to project themselves into the place of the model and therefore expand on the narrative in a far more personal and intimate way. This technique is highly effective in fashion advertising as it allows for identification and desire in the viewer. Through this personal association Brief Encounter engages the viewer in a narrative of fast romance. The cinematic attributes of the series create an intimacy and dramatic complexity that do little to let go of the viewers’ attention. Leibovitz in her usual style has constructed a story that allows the viewer to linger in a self-directed narrative. Truly these images prove to be far more than a Brief Encounter. Kismaric S & Respini E 2008, ‘Fashioning fiction in photography since 1990’, in Shinkle, E 2008, ‘Fashion as photograph: viewing and reviewing images of fashion’, I.B. Tauris London;New York pp. 29-45. Throughout the last century fashion and art have flirted with each other; most famously was when in the 1930s Elsa Schiaparelli joined the surrealist hierarchy to create gowns that would spark an ongoing discussion into whether fashion can and should be considered as an art form. Today fashion design and art collaborations (FDAC) are occurring more often than ever. Louis Vuitton, Prada and Hermes have all united with artists to create collaborations that bridge the gap between the ‘jealous cousins’. But why after nearly a century of history, are we now seeing such a furious re-emergence of fashion and art collaborations? Zac Posen in 2009 posed an interesting question of patronage that offers one answer. “Throughout history fine artists have been funded by the greatest luxury brand of them all: Christianity. Why in today’s more secular climate, should anyone be surprised they have simply moved on from a religious brand to fashion brands?”(cited in Flynn 2009) Contemporary Art in its global commodification, is lapping at the heels of the fashion industry. While in turn the fashion industry is utilizing contemporary art to create experiential luxury. One only has to look to Louis Vuitton to see to what extent such patronage and partnership goes. Since Marc Jacobs brought with him his passion for contemporary art to Louis Vuitton in 1997, the fashion brand has invited numerous artists to revisit the famous monogram and shake up the brands codes (Yusof 2012). While these product and marketing collaborations have proven to be extremely lucrative, Louis Vuitton’s support of art goes beyond generic product collaboration, with new boutique stores built to incorporate exhibition spaces. Artist Charwei Tsai exhibits along side Louis Vuitton Bags in the Espace of Island Maison. Louis Vuitton Island Maison, is no exception. The flagship store in Singapore boast an art space underwater. The area, which acts as a tunnel connecting the store to the Marina Bay Sands shopping mall, immerses visitors and sets the scene before their arrival to the store. Vita Wong Kwok, Vice President of Cultural Development for Louis Vuitton Asia, commented on the company’s commitment to art, “We want to share art and culture with the public because it’s the spirit of the brand… More than a million people have come through since the opening. They have stopped and interacted even though they were not expecting to see art on entering the store. That’s all part of the Louis Vuitton experience.”(Zipel n.d.) It is easy to see the experiential marketing tactic in Wong Kwok’s words… Through Louis Vuitton’s benefaction of the arts and through incorporating art within their stores they create an experience for their customers- an experience that only that brand offers: ‘the Louis Vuitton experience’. In turn contemporary artists are exhibited to a new market of buyers and their artworks (products) become part of the luxury lifestyle. This win-win situation is not the sole cause for the recent re-emergence of fashion and art collaborations, as they are no doubt broader spanning than what is suggested here. But what is evident is that FDAC are no longer purely carried out with the aim of transcending fashion into art, as Schiaparelli once did with her partnerships. Today’s increase in the number of collaborations can be seen as a sign of the times, as artist Charwei Tsai, who herself worked with Louis Vuitton, summarises best, “The recent phenomenon of artists and fashion groups working together on mass produced goods reflects on the current rise of globalisation and capitalism. Contemporary art has become a part of the luxury lifestyle – along with fashion”(Tsai cited in Yusof 2012). Yusof, H 2012, ‘Fashion, art converge: Helmi Yusof looks at how these two creative arenas have joined hands to turn heads’, Business Times, 23 November, viewed 16 August 2014, via ProQuest Central database. Flynn, P 2009, ‘Commercial collaboration’, Financial Times, 26 September, viewed 18 August 2014, via ProQuest database. Fashion has long had a symbiotic relationship with art, although fashion’s acknowledgement as an art form has been the subject of heated debate. [i] However, despite fashion’s commercial or functional imperatives, various academics including Richard Martin and Sanda Miller have disputed Kantian ideas of ‘pure art’[ii], arguing for fashion’s ability to apply various aesthetic and conceptual concerns through means similar to artistic practice. 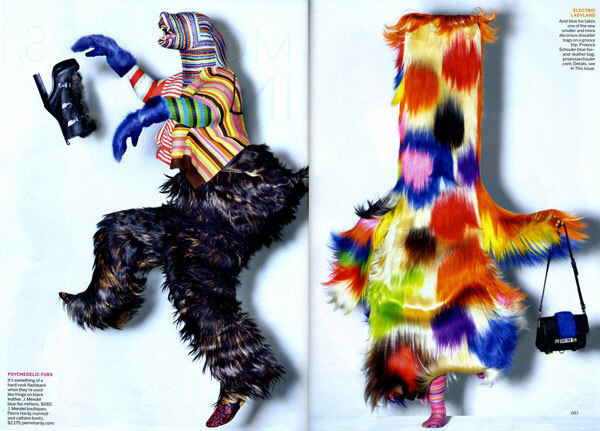 [iii] Two particular examples of fashion and art’s symbiotic relationship are Rei Kawakubo’s Dress Meets Body, Body Meets Dress collection for Comme des Garcons, and Nick Cave’s Soundsuits; both of which employ sculpture, performance and fashion to explore conceptual and kinetic possibilities. The Dress Meets Body, Body Meets Dress collection and Soundsuits both defy Kantian definitions of art and fashion, instead demonstrating how distinctions between creative practices have become blurred despite commercial or functional imperatives. Using surrealism, presentation, unconventional techniques and materials, and the subversion of fashion and art conventions, Kawabuko and Cave’s respective works transcend the defined systems of fashion and art; instead fostering fluid dialogues between dance, sculpture, and fashion that highlight the significant opportunities unleashed by multidisciplinary practice. [i] Berry, J 2014, ‘Fashion, Aesthetics & Art – an overview’, retrieved from Griffith University, Queensland College of Art, Learning@Griffith website: <https://bblearn.griffith.edu.au/bbcswebdav/pid-1010409-dt-content-rid-2625160_1/courses/2432QCA_3145_SB/Course%20Content/Week%202%20Fashion%2C%20Aesthetics%20%26%20Art/wk%202%20fashion%20as%20art.pdf&gt;. [iv] Jarvis, J 2013, Rei Kawakubo, Commes des Garcons – Measured Madness, viewed 20 August 2014, <http://miista.com/rei-kawakubo-commes-des-garcons-measured-madness/&gt;. [v] Carpenter, B 2013, Dance Works III: Merce Cunningham/Rei Kawakubo, viewed 20 August 2014, <http://www.walkerart.org/calendar/2012/dance-works-iii-merce-cunningham-rei-kawakubo&gt;. [vi] Expanding Fashion: Rei Kawakubo for Merce Cunningham in ‘Scenario’ 1997 2014, viewed 25 August 2014, <http://www.vestoj.com/current/?p=2384&gt;. [vii] Duggan, G 2001, ‘The Greatest Show on Earth: A Look at Contemporary Fashion Shows and Their Relationship to Performance Art’, Fashion Theory, vol. 5, no. 3, pp. 243-270, viewed 24 August 2014, via Ingentaconnect database, p. 260. [xi] Nichols, A n.d., Being Nick Cave, viewed 25 August 2014, <http://www.theaesthete.com/story/view.dT/being-nick-cave&gt;. [xii] Vartanian, H 2014, A Look at Nick Cave’s Stunningly Colorful Show at Jack Shainman’s New School, viewed 25 August 2014, <http://hyperallergic.com/127285/a-look-at-nick-caves-stunningly-colorful-show-at-jack-shainmans-new-school/&gt;. [xiii] Kafarin, A 2011, ‘An ecstatic embrace: inside the Soundsuits of Nick Cave’, Art and Australia, vol. 48, no. 4, pp. 280-289, viewed 20 August 2014, via Gale Academic OneFile, p. 289. [xv] Kafarin, op.cit., p. 283. [xvi] Nick Cave Brings Art, Sculpture to Life With ‘Soundsuits’ 2012, viewed 20 August 2014, <http://video.pbs.org/video/2226846036/&gt;. [xvii] Kafarin, op.cit., p. 684. Increasingly, in recent years and worldwide, fashion has been given a platform in spaces where art is traditionally shown. Museums now display fashion with as much consideration as they do art. 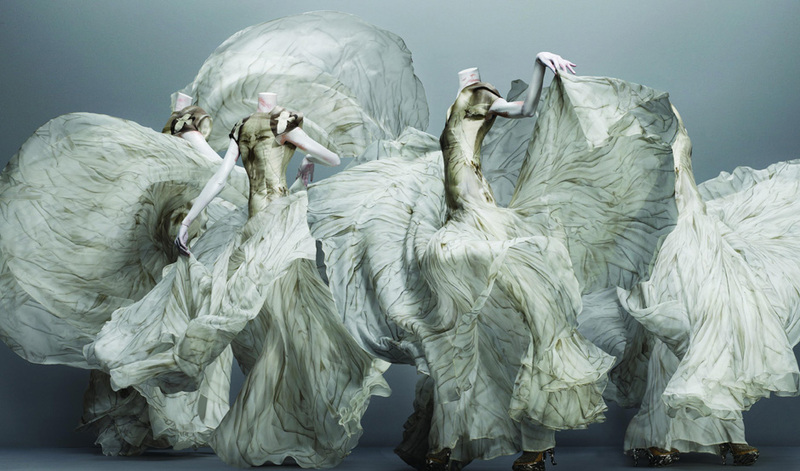 The exhibition “Alexander McQueen: Savage Beauty,” at the Metropolitan Museum of Art in New York firmly placed a fashion designer among traditional artists like the painter Claude Monet and gave as much prominence to evening gowns as to ancient art objects from centuries ago. Martin Margiela’ exhibitions have made this very conceptual designer more accessible, bringing a type of aesthetic to all people, something which may not happen in everyday life. 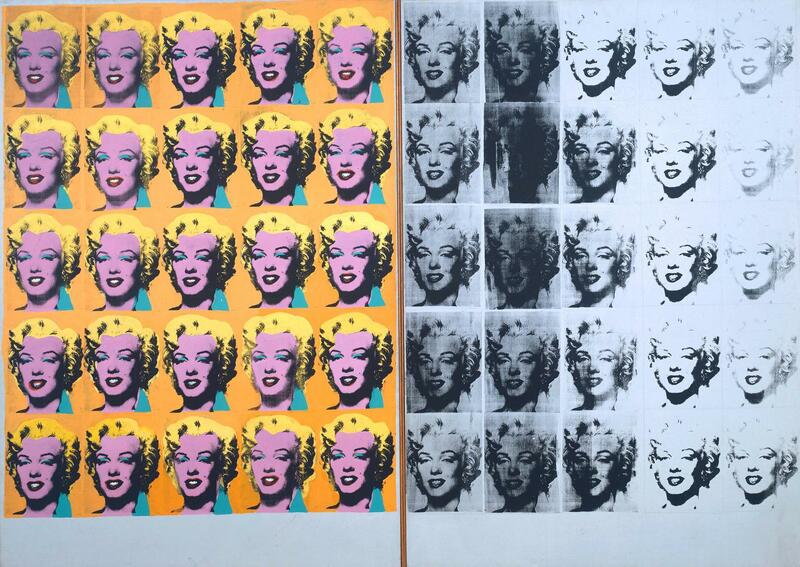 Pop Art was an art style that focused its attention on familiar images of popular culture such as billboards, comic strips, magazine advertisements, and celebrities such as Warhol’s famous”Marilyn Diptych” Warhol was especially responsible for influencing the fashion of the 1960s. Even Yves Saint Laurent went down the pop art road with his famous Mondrian dress. “It is that moment of fashion, that moment of performance, and that moment of music, combined with art and love, that makes what Gaga is all about…the objective is always to be making something that belongs in a museum.” – Lady Gaga, 2009. Is Fashion art? Karl Lagerfeld is one who says no. This is despite the fact that art and fashion began intersecting hundreds of years ago, igniting in the Renaissance period, precisely in Italy during the 15th century. 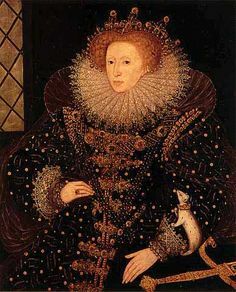 Fashion in the 15th and 16th century was influenced by the art of the time, and was inspired by masterpieces created by artists such as Michelangelo, Leonardo da Vinci, Raphael and Botticelli. Fashion designers of the Renaissance were known for their extravagant and costly accessories, ranging from velvet fabrics, brocades (fancy stitching), ribbons and jewels. This desire for fancy clothing in the fashion world mirrored the craving for flamboyant works of art in the art world. The Oxford Dictionary’s definition of art as “the expression or application of human creative skill and imagination, typically in a visual form such as painting or sculpture, producing works to be appreciated primarily for their beauty or emotional power,” puts fashion in the same realm as art. Fashion, when executed at the hands of certain avant garde designers, like Viktor & Rolf and the late Alexander McQueen, can be an expression or use of creative skill and imagination and are true works of art. There are others who agree with Lagerfeld : Prada, Marc Jacobs, Comme des Garcons’s Rei Kawakubo and Coco Chanel (1).They support the idea that fashion isn’t art. Fashion functions with the purpose of clothing the human body and protecting it from environmental elements. At the hands of mass-market retailers, it merely becomes a commodity to sell and profit from. Art, on the other hand, while also commercial in some aspects, is created at the whim of the artist. Perhaps for now it is best to think of fashion and art as having a relationship where they feed off each other.